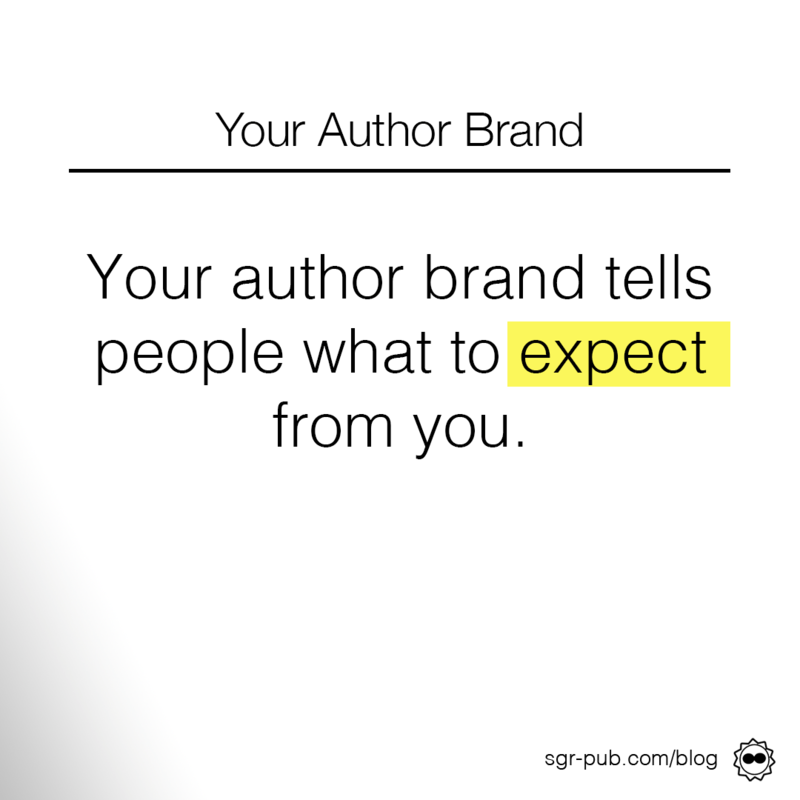 For many authors, the idea of a “brand” is one that they are vehemently against. They think a brand is something manufactured and fake. They want to be authentic. But the truth is, your author brand will emerge regardless. The key is to make that brand a positive one, which will eventually result in more sales. Generally, you can consider your author brand to be the amalgamation of the different content you present on the internet. You can have a different brand per social media, or have a singular one across all of them. For example, if all you post on Instagram are cat photos, your Instagram brand is just that: Cat photos. Why does that matter? Because if you suddenly take your feline-focused timeline and turn it into one selling your horror novel, you might find yourself losing followers left and right. More importantly: You may not sell any books. Taking it another way, your brand tells people what to expect from you. It helps build that all-important trust necessary for soft selling. Building your online persona focused on a certain theme helps attract potential readers of your genre. Multi-million dollar corporations have teams assigned to brand image and management. You, self- or indie- author, have just yourself. So you’re free to take it as detailed as you like. Do I want to provide readers with information about a certain topic? What are the main themes of my book(s)? What genres do I write in, and what are other authors in that genre doing? Once you have the answers to those questions, you can start digging deeper. Once you’ve got a general idea of the person you want to be on the internet, you can decide what kind of content you should be posting. For example: if you want to be known as an author who helps other indie authors, post indie knowledge anecdotes. If you want to be fantasy writer, you should follow nerd and geek sites like io9, so you have plenty of content to share to fellow nerds. It doesn’t have to be perfect, but it does have to be more or less consistent. And, of course, if you find yourself veering away from what you thought your brand was, feel free to change it! After all, it’s your brand. When it comes to your brand, how you behave is just as important as what you schedule. Every fan response, every reply builds your readers’ idea of you. So, obviously, you want to make sure that perception is a positive one. It goes without saying: Never respond to negative reviews. Ever. Even if you think you’re right, even if you think the reviewer is targeting you unfairly. Or if they got the book wrong. Even if you do it privately, because there’s no guarantee the reviewer won’t respond by screencapping your email and posting it for the world to see. Take a breath, write your response in an offline journal, and move on. When it comes to ruining brand over bad sales, this is a bit more nuanced. Generally, people flock to two kinds of folks: those who are upbeat and positive, and those who cause lots of excitement by drumming up controversy. It’s why we love reality TV. What people don’t love is when an author gets online and says, “Woe is me. Nobody buys my books. I guess I’ll just hang up my hat and stop writing.” You’ll get a few well-wishers, and maybe a pity sale, but what you’re doing is alienating the readers you do have. Instead, focus on giving yourself opportunities to highlight the positives. Run a sale on your books and post when it hits a high water mark. This isn’t to say, “don’t be human.” If you’re having a bad day, share it with your followers if you feel it’s appropriate. One of our favorite tried-and-true methods for turning a frown upside-down is our “Bad Day Giveaway” where when we have a bad day, we’ll run a quick Twitter contest and give away a free eBook. We also like, “Tell us something great that happened to you.” It gets our fans talking, and brightens our own mood.